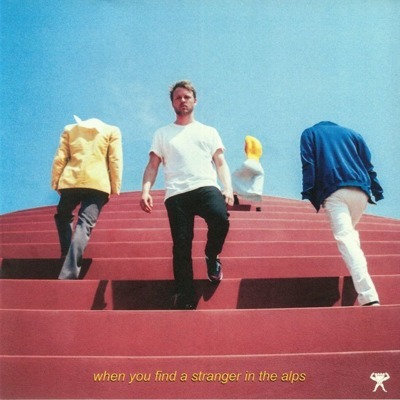 After a string of acclaimed EPs on Heist, Dirt Crew and Quartet Series, Amsterdam's Nachtbraker presents 'When You Find a Stranger in the Alps', his first longplayer on his own Quartet Series imprint. The good-humoured Dutchman - tongue always firmly in cheek - has always refused to stick to the 'sound du jour' and the industry's conventions, following his own path instead, continually willing to step out of his comfort zone. 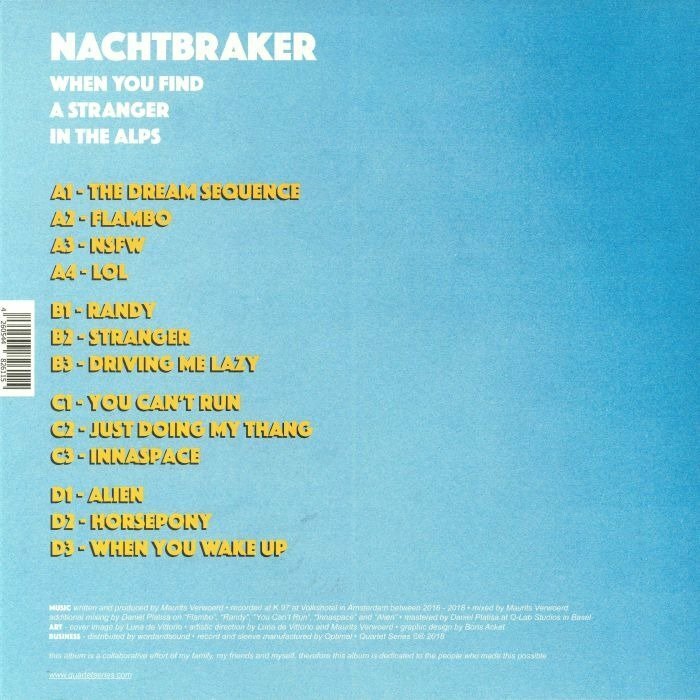 'When You Find a Stranger in the Alps', a nod to his favourite Coen Brothers' movie, is testament to Nachtbraker's studio prowess and drive to explore new sonic pastures and styles. The album consists of thirteen tracks, made over the course of 2,5 years in his studio at Volkshotel Amsterdam. Constantly shifting through different settings and moods, the album feels like a deep dream, with vivid details, blurry edges and a warped sense of time. The word 'stranger' in the title references to this dream state in which you sometimes can be a stranger to yourself. Album opener 'The Dream Sequence' sets the mood with a lo-slung hip-house groove that relies heavily on field recordings, like the sound of one of the capital's trams. 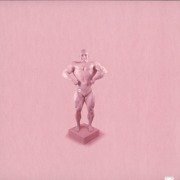 'Flambo', a delectable slice of up-tempo French filtered house, is aimed straight at the dance floor. 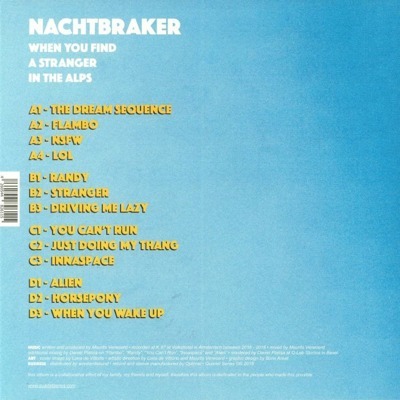 Nachtbraker dims the lights on 'NSFW', cleverly manipulating samples from adult oriented flicks, and turns in a hilarious skit with 'LOL'.